The proper ratio of B supplements wth Iodine and Zinc and natural botanicals such as Pumpkin seed, Silica, and Foti provide the essential nutrients for your follicles to maintain a well balanced daily nutrition essential for the root. These promote healthy follicles and will restore dull, lifeless thin hair. Nourish your scalp from within with our nutritional tablets. Physician developed and recommended. 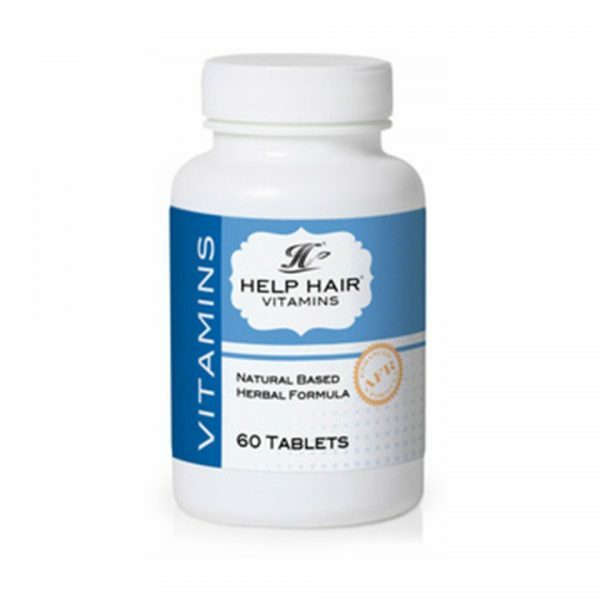 How does Help Hair Vitamins restore the follicle? The Anagen Phase, which is the growing phase of the hair follicle, is directly stimulated and nourished by the unique formulation of our tablets. The blend of vitamins and minerals provide the nutrients required for follicle restoration to take place. Biotin and Niacin are essential for proper scalp nutrition. The unique blended ratio of B supplements with essential minerals supplies nutrients directly to the hair roots and follicles. Our formula greatly reduces shedding and breakage by nourishing your hair from the root, with the pumpkin seeds acting as a natural blocker to the male hormone that has been shown to cause hair loss through follicle miniaturisation. Are there side effects with our supplements? Help Hair is entirely natural, so there are no negative side effects if the daily dosage is followed. It even promotes glowing skin and strong nails too. 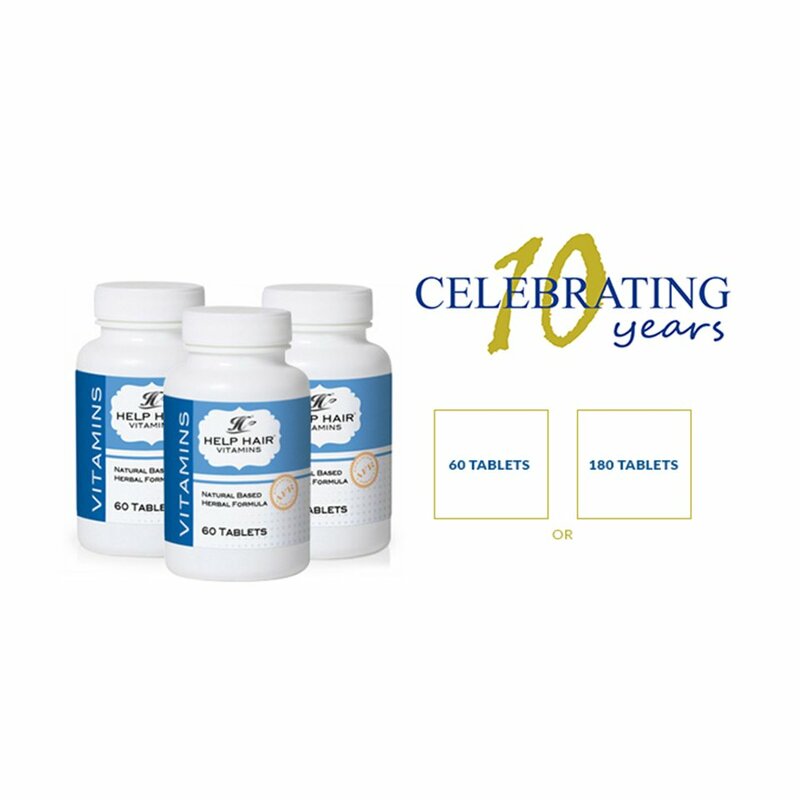 However, it is best you do not exceed 5mg per day of Biotin, and since each tablet is formulated to provide the maximum recommended amount of every vitamin and mineral it contains, it is not advisable to overdose as this will not give faster results. In fact, it could end up being harmful to your system. Always check product labels carefully, and consult with your doctor before starting the program. How fast will the tablets restore the root? The complex action of Hair Help vitamins to correct the follicle cycle and restore the Anagen Phase can take up to 8 weeks to see results, because it works from the inside out. Inside your body, our unique formulation will get to work from the very first dose, to build up in your system and begin to impact the damaged hair follicles. 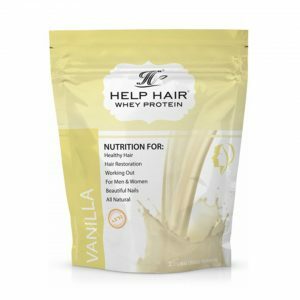 Within 8 weeks, you will start to see the result of this intricate process, which will continue to maintain a healthy head of hair as long as the supplements are taken. Shedding is greatly reduced and density improves, with maximum effect becoming visible within 6 months after starting the Help Hair program. It is important to remember that a well-balanced diet should be followed at all times, and a proper blood sugar level should be maintained for optimal results. If you are having trouble with blood sugar, you should consult with your doctor to have it corrected as soon as possible, so that you can benefit fully from Help Hair vitamins. How often should I take the hair tablets? 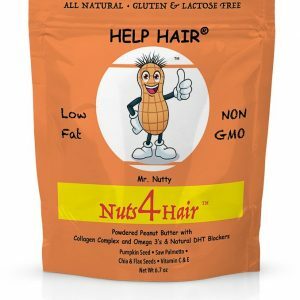 Help Hair vitamins use a unique formulation of all natural, non-GMO ingredients. Our tablets are preservative, artificial colour, MSG, and filler-free. This means that it is absorbed, broken down, and passes through the body fairly quickly. Each tablet is made up of the maximum recommended dose of B-supplements and minerals to best effect your system, and should be taken as instructed on a daily basis to ensure the nutrients are always present and active in your system. This will guarantee the product works efficiently and yields optimal results. It is recommended that 1 tablet be taken in the morning and 1 in the evening. This provides you with a constant supply of the nutrients you require all day long. It also ensures you receive the nourishment required for optimal thickness. It is advisable to refrain from other alternative hair supplements while taking Help Hair, since an overdose in any of the minerals – specifically Biotin – could have slowing effects, and decrease the overall result. After 3-6 months of daily doses, and once you notice your hair looking fuller and thicker, you can reduce your intake to 2-4 times a week for maintenance. The more often you take Help Hair, the more density you will achieve, so follow a regime that suits your personal preference once you reach the maintenance stage of the program.